Quadrille pad is printed on two sides in nonreproducible blue ink so you can align your figures, copy and create a graph-free presentation. 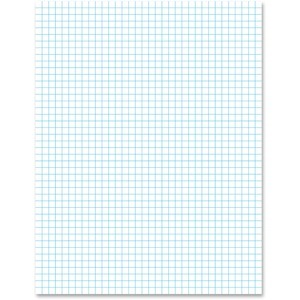 Ideal for drafting, plotting and scale drawings. Lines won't smudge or reproduce. 20 lb. white ledger paper in pad accepts porous inks better than lower grades of paper. Pad contains 50 sheets.